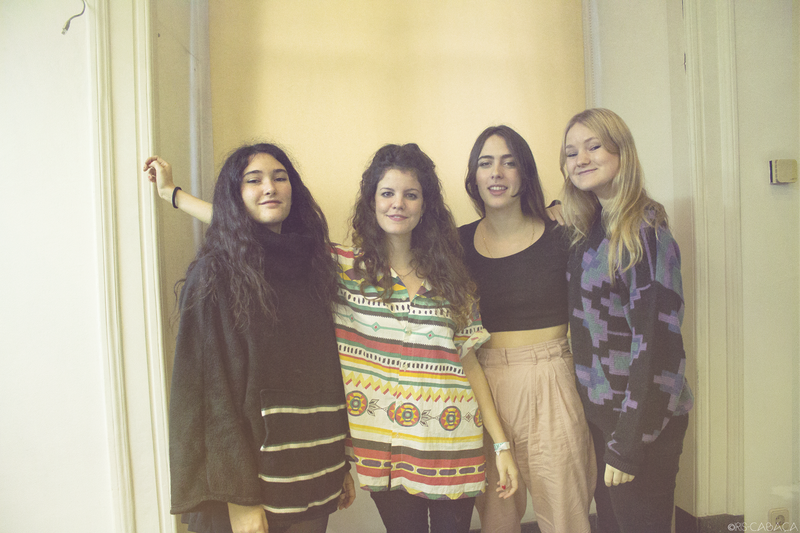 Hinds - entrevista | Watch and Listen! 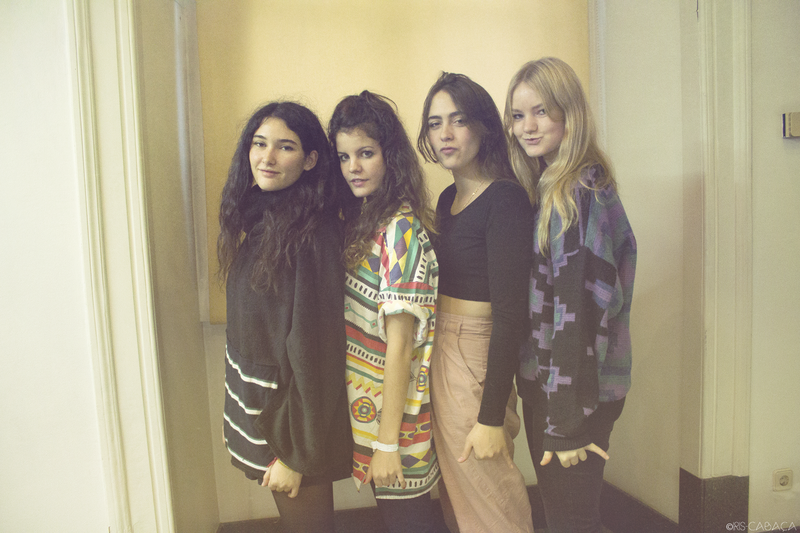 Conversámos com as Hinds (anteriormente Deers) antes do seu concerto no Vodafone Mexefest. Na entrevista, falámos sobre o vídeo "Bamboo", dos fãs, da sua colaboração de sonho e ainda nos disseram que adoram Portugal e que já tinham estado cá antes, em Paredes de Coura. 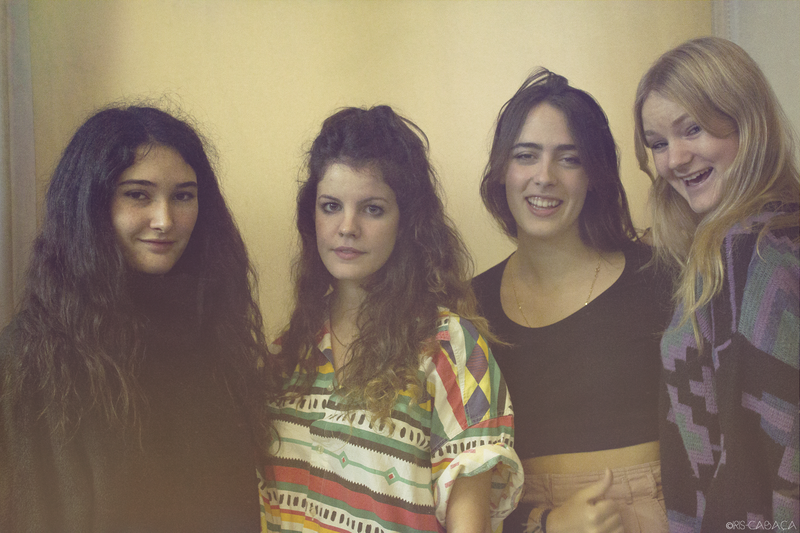 We chatted with Hinds (previously Deers) before their show at Vodafone Mexefest. On the interview we talked about their video "Bamboo", fans, their dream collaboration and they also told us that they love Portugal and they were here before, in Paredes de Coura. Como é que decidiram criar a banda? Carlotta: Estávamos de férias, eu e ela (Ana e Carlotta) e estávamos na costa de Espanha, e tivemos de voltar porque não tínhamos nada para fazer, quer dizer estávamos de férias. Por isso, começámos a tocar esta música repetidamente e adorámos tanto isto que decidimos que tínhamos de começar uma banda. How did you decide to start the band? Carlotta: We were on vacations she and I (Ana and Carlotta) and we were in the coast of Spain and we just had to return because we had nothing to do I mean, we were on vacations. So we started to play this one song repeatedly and we loved this so much so we decided we had to start a band. Qual é a vossa colaboração de sonho? Qual é o melhor conselho que podem dar a uma banda nova? Ana: E casacos grandes para as digressões. Casacos muito grandes. What’s the best advice you can give to a new band? Ana: And big coats for tours. 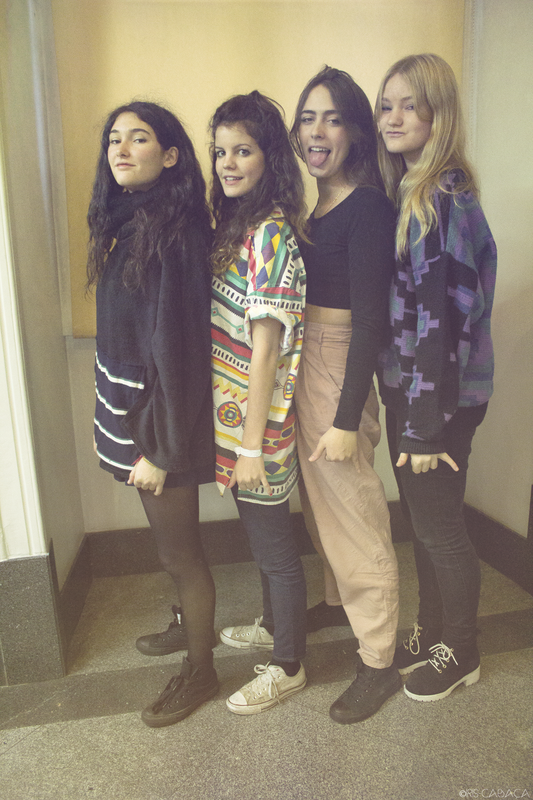 Super big coats. O vosso videoclip "Bamboo" é muito fixe e relaxado. Descreve a vossa banda? Carlotta: "Bambo" é o género de um vídeo de, quer dizer, podes ver a maneira como nós vivemos. Ana: Por isso talvez reflete melhor a forma como somos. Your “Bamboo” music video is very cool and relaxed. Does it describe your band? Carlotta: “Bamboo” is like a life video, I mean you, can see the way we live. Ana: So maybe it reflects better the way we are. Qual é a coisa mais estranha que vos aconteceu num concerto? Amber: Cantarem as nossas músicas. Carlotta: Sim, talvez. Para nós é muito estranho ouvir as pessoas a cantarem as nossas músicas. What’s the weirdest thing that has ever happened to you on a show? Carlotta: Maybe, yeah. For us is very weird hearing people singing our songs. Carlotta: Assim muito loucos não. Ana: Sim, sim. Temos alguns, no Twitter. Só alguns. Do you have crazy fans already? Ana: Yes, yes. We have a few, on Twitter. Only a few. Estão a gostar de Portugal até agora? Ana: Já gostávamos antes de sermos uma banda. Estivemos aqui há uns quatro meses atrás, em Paredes. Em agosto. Carlotta: E nós adoramos o vosso país, a sério. Are you liking Portugal so far? 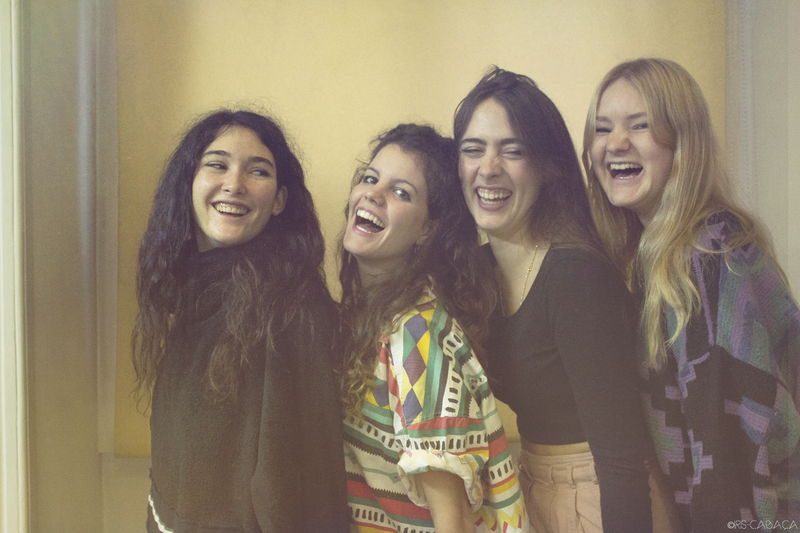 Ana: We loved it before we were a band. We have been here like four months ago, in Paredes. In august. 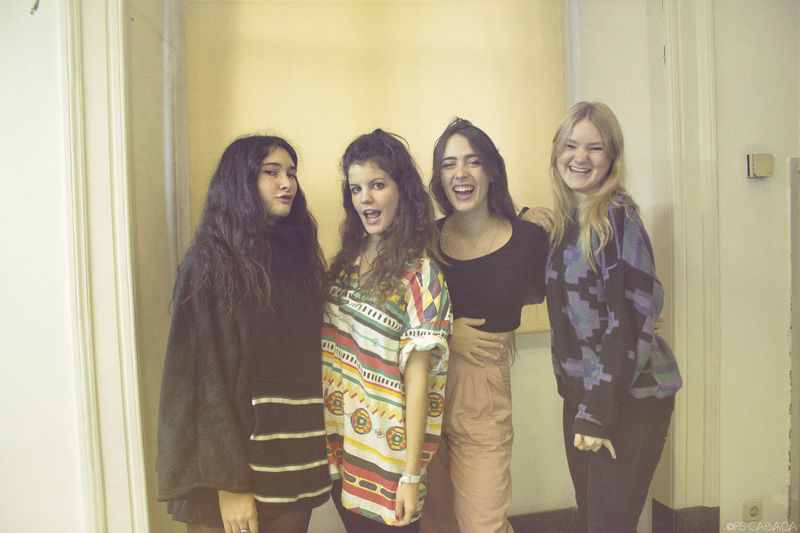 Carlotta: And we love your country, seriously. No final da entrevista, fizemos um jogo com as Hinds onde dissemos alguns provérbios populares em inglês e elas traduziram para espanhol. Vejam o vídeo em baixo. At the end of the interview, we did a game with Hinds where we said some english sayings and they translated them to spanish. Watch the video below.